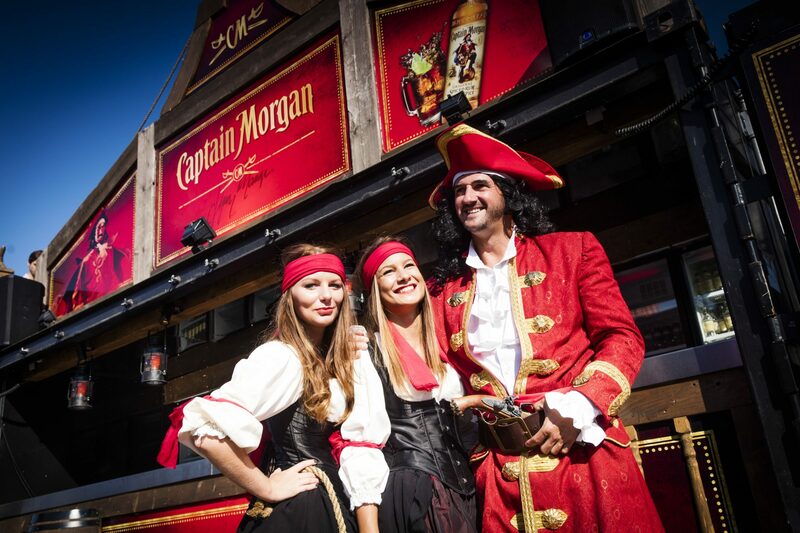 On 25 August, Captain Morgan, ruler of the seas and party drinks, briefly moored his pirate ship on land to take the helm of his very own truck at the Cityparade in Liège. The Fast Forward team was the logistical backup and the crew comprised a harem of charming ‘Morganettes’. In Parc d’Avroy, where traditionally the starting shot for the Parade is given, the captain’s fresh recruits were able to get airbrushed tattoos. Once the truck joined the fray in the centre of Liège with its party cargo, the aforementioned ‘she-pirates’ gave away eye patches, sunglasses and pirate hats to anyone who was in need of him. Aaaaargh! Capture the Cityparade? Leave that to Fast Forward.